Exclusively for Goal.com Members only! 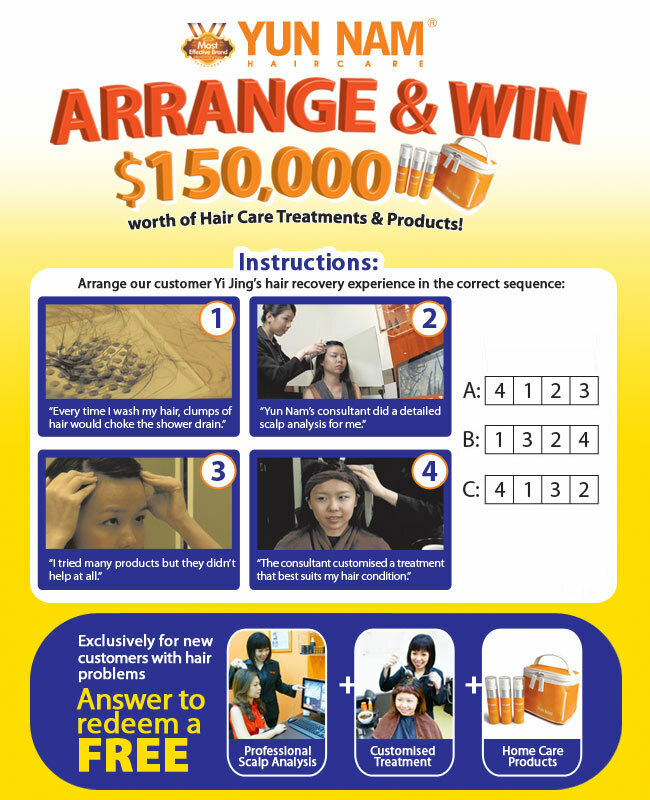 Send in your answer now to redeem FREE Hair Care Package worth $348! Terms & conditions apply. Promotional treatment and products redeemable after consultation and for one redemption per customer only. For individuals aged 21 years and above only. Your results may vary. Promotion is valid till 28th Feb 2013. Yun Nam Hair Care, Singapore's Most Effective Hair Care Brand^, firmly believes in using advanced hair growth technology trademark remedies to achieve a recovery rate of 98.7% in hair health. ^Based on Connecting Insights Consultants' Hair, Face and Body Brand Awareness Survey Report, August 2010. Exclusively for S'pore Shopping Lifestyle Members! 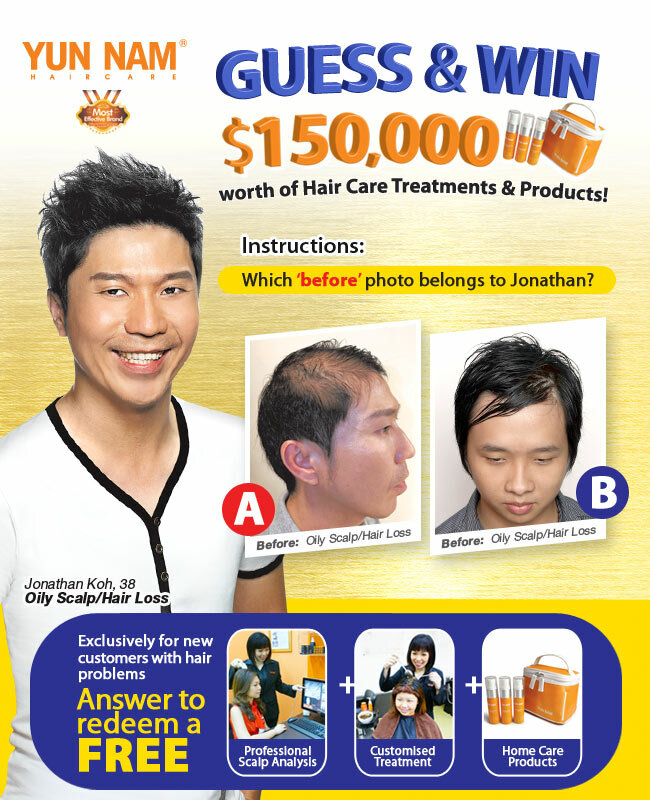 Send in your answer & personal particulars now to redeem FREE Hair Care Package worth $348!